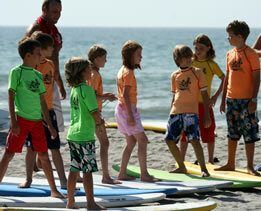 Nex Generation Surfing School offers weekend camps and surfing clinics every Saturday and Sunday for all ages and experience levels. We welcome groups families and individuals! We provide safe soft surfboards, expert instruction and we always guarantee results!